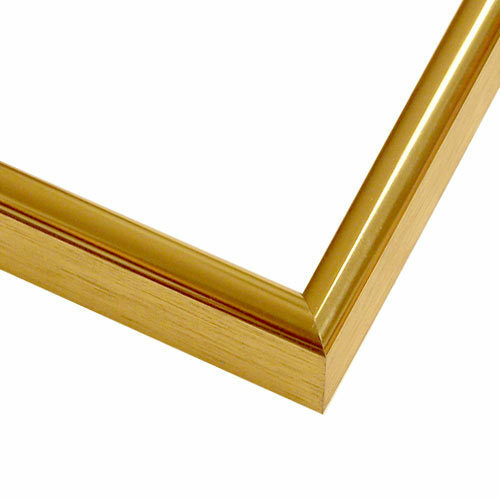 Your art will shimmer in this gold metal picture frame. Posters, prints, black and white photos, Instagram snaps and your kids’ drawings will take center stage in any room or the gallery wall. It features a slim, rounded profile and is mat friendly so let your imagination run wild. Customize your size to 24”x 36”! Handmade by our Artisans. Wonderfully discounted price. Your art. Your way. Every day. I am impressed with the quality and sturdy construction and surface of this frame. Best of all, it looks great around my artwork! Quality of the frames that I purchased is excellent. Need better instructions and photos on how to secure the art work in the frames. Overall very happy with my purchase. Original shipment did not contain the glazing I order, but customer service was quick to ship out the missing items. We love the finished product. Will order again in the future. I searched all over the internet for a frame to fit my family photo. Your frame fit my requirements and the family photo could not look any better. It is a perfect fit, perfect color, and easy assembly. Thanks you so much. Connie H.
Great quality, well packaged, looks very nice! Would buy again! Not crazy about the springs, hard for the elderly to handle. This frame was too thin and flexible for the size of artwork I had in mind. I returned it at company expense and received a refund. Hello June! 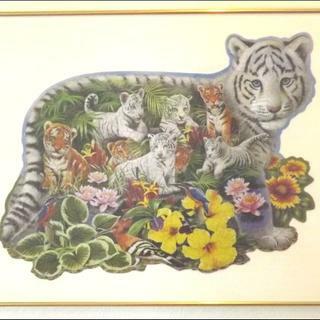 Thank you for being a customer with Pictureframes.com. We regret that the frame did not work out for you. Thank you for allowing us to offer you a refund. If you need assistance finding a new frame, please give us a call. We can be reached at 1-800-332-8884. I was very happy with the frame I ordered and extremely impressed with the way it was packed. It showed a lot of care and love for your product. Thank you very much! I also appreciated the beautiful catalog that accompanied my frame, I am holding on to it for my future needs. It was a pleasure to deal with such a conscientious company. I was very happy with the frame I ordered and extremely impressed with the way it was packed. This matches very well with a frame I have on other artwork. Plus the 18 x 18 size was very hard to find. I chose this style because the two water-color paintings for which I will use these frames are lovely 4.5" x 10.5" landscape images and I wanted a minimal frame so the focus will be on the paintings, I did not want to create any competition for the eye by surrounding the painting with an ornate frame. I am encouraged by the customer comments that the construction of the frames will be of good quality, but, considering the company's volume of sales the shipping was too expensive. It will enhance the water color I am framing. Needed a thin gold frame for small picture. I frame everything in gold wood or metal. This seemed like a good deal for my needs. Easy shopping for an affordable frame. These frames were such a great bargain that I could not resist! Thanks for having them! My watercolors look good in this gold frame. it's a good looking , economical and quality product !!! This two pieces are going into a juried show and this particular frame looked good with both and the price was good. Needed a gold frame that did not look like it was painted on. I liked the quality of the frames the prices are very reasonable and they matches the decor of my other frames. The simplicity and the great sale price! Simple elegant design for small piece. Hi! Wanting to order this in a large size for a poster (23.5x33 inches). Is there any front or back provided with just the purchase of the frame? BEST ANSWER: Hello! The frames do not come with Acrylic and Backing. Please add those items to the order or the frame will arrive as 'frame only'. Thank you for your inquiry! BEST ANSWER: Hello! The frame is perfect for a print. The frame does not come with acrylic and foam core backing. This is due to the different framing needs customer have. These items must be added on to the order. If you need further assistance, please let us know. Have a great day!